From Jeff: This is a guest article by Ken Coleman. Ken is the host of The Ken Coleman Show and author of One Question. You can find him on Twitter @KenColeman. The following is an excerpt from his new book. But this leaves me wondering where the master craftsmen are today. Where are the unusual, custom-built leaders and artists who seek to rise above the fray rather than run with the pack? I decided to ask New York Times bestselling author Daniel Pink that very question. A former speechwriter to then Vice President Al Gore, he has studied social trends and the science of success in the twenty-first century. His books include Drive and A Whole New Mind. If anyone could answer my question on mastery, I figured Daniel Pink could. KC: In today’s 24/7 media culture, “experts” are a dime a dozen. 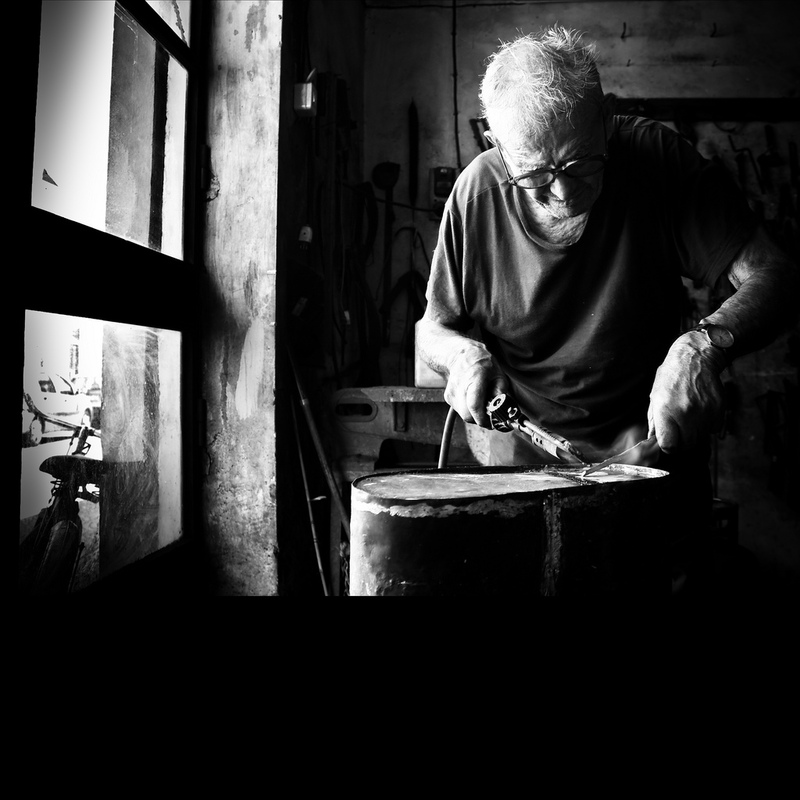 In contrast, a true master craftsman remains rare and valuable. How do we master our strengths to maximize our impact? DP: It’s a mix of factors. First, one of the most important things in achieving mastery is to recognize how you think about it in the first place. That is, when you look at your own capabilities, do you see them as fixed, unchangeable, and simply part of your DNA, like eye color? Or do you look at them as actually malleable, things you can improve, you can get better at? Too many of us take that first view — that being good at some- thing depends on whether you have it or you don’t. The problem with that belief, as Carol Dweck and others have taught us, is that’s incorrect. It’s not how mastery works. Indeed, if you start with that belief—that you’re either good at something or you’re not — you won’t achieve mastery. Period. But if you think you are capable of getting better at something, then you have a shot. Second, along with thinking about mastery in the right way, the next component is what you actually do — because true mastery is really, really hard. I think that’s one reason why few people achieve it. It requires enormous amounts of work and persistence. It requires time. It requires grit. It requires effort. It requires setbacks. And many of us aren’t willing to accept that deal. We want to achieve mastery without pain. And that’s not possible. Third, you also have to wrap your mind around this unhappy fact: you can never actually achieve mastery. You may remember the word “asymptote” from algebra. Imagine a curved line that can come close to reach a horizontal line but never actually touches it. That untouchable horizontal line is the asymptote. You can get closer and closer and closer to it, but you can never reach it. That’s the nature of mastery. I do not care how good you are at something, how blessed you are with the opportunity to improve, no one can ever achieve full mastery. Picasso never achieved full mastery. Marian Anderson never achieved full mastery. Kobe Bryant has never achieved full mastery. Mastery is an asymptote, and that makes it simultaneously frustrating and alluring. So I think the way we can get better at achieving mastery is just to get real about what it takes. And what it takes is thinking about your ability as something you can change. It requires a lot of pain, effort, and hard work, and it brings a certain amount of frustration in realizing that you can never actually achieve it fully. Pink’s words transcend insight and enter the realm of encouragement. He reminds us that gifts are malleable and fluid. Yes, we’re all born with certain gifts. But those gifts can grow, mature, and develop. Great men and women in any field recognize their natural gifts but then hone those gifts over time. If we believe that our level of mastery is only a function of our innate makeup, we will never reach our fullest potential. Professional athletes were born with great talent, but without developing that talent, they would have remained average amateurs. You can always get better. A master carpenter or professional baseball player will always tell you that no matter one’s level of success, he can always build a better product or play a better game. If you could resurrect Leonardo da Vinci or Vincent van Gogh and ask him what his perfect work of art was, I doubt he would be able to name a single painting or sculpture. Perfection is impossible. We must also accept that the process of development is painstaking. Thanks to films, we often get the impression that a great businessman or soldier or artist becomes who he is in an hour and a half rather than through months and years of practice. Larry Bird spent hours shooting three-pointers before and after practice. Tiger Woods hit thousands of golf balls as he refined his swing. Because humans’ default mode is complacency, many fail to commit to developing their natural gifts. You have within you a few strengths that, if honed, will empower you to impact your world. The potential exists. You need only to locate those gifts, work hard at developing them, and never stop pushing higher and farther. Even if others recognize that you are very good at what you do, never forget that you can always get better. The things that spring from your hands will not be perfect, but, like the works of master craftsmen, they’ll stand the test of time. What do you think? Can anyone achieve mastery? What would it take in your field or industry? Share in the comments. Ken Coleman is the host of The Ken Coleman Show and author of One Question. You’re so right on (as usual) Jeff. I learned about craftsmanship and realized how that’s different from a job or hobby. Watching https://www.pbs.org/craftinamerica/ showed me the distinction and how to really appreciate the discipline it takes to master one’s trade. — just saw the byline was Ken. still great content. In addition to complacency we fail to acknowledge the time aspect. Tiger Woods and Larry Bird didn’t become great, and weren’t great suddenly. It took years of preparation, failure, and perseverance. In our culture of now, we often overlook the fact that it takes time. BINGO DS! You cant use a microwave mentality. Very insightful. I truly believe that the closer we get to mastery, the more we realize we’ll never reach it. When we start out, we think we can master something in a set amount of time. That’s amateur. But as we become more professional and educated in the particular area, we recognize how much we still have to learn. Thanks for sharing your insight Ken, very good indeed. Thanks Jared, the true masters never stop improving. I often wonder where this whole idea that people today believe that mastery is either something you’re good at or not comes from. I feel that is a straw-man’s argument. I don’t think I’ve really met anyone who actually believes that. The real limiting belief, I believe, comes from the idea that mastery takes immense practice or work in order to achieve. From my experience, mastery is really a matter of deep curiosity and understanding. It’s a matter of getting deeper and deeper into a territory, a world filled with little playgrounds, and not wanting to go back. Practice is not important here, but play. And, of course, play is something we can all do. What it takes to become a master is really being honest with yourself; that is, not denying yourself your uniqueness. Mastery is in a person’s genes: it’s what defines them as unique. Follow your interests, your curiosities. Follow the opportunities that make you excited. Find the playgrounds of the world, or create your own. That kind of bravery is really what it takes – not hours and hours of practice. If you’re interested, you’ll automatically put in the hours. I think the key for me was when I began to hone in on a few things that I could vastly improve instead of doing multiple things at an average level. Mastery in my world means staying a step ahead of everyone. Reading and networking has helped me separate myself from the crowd but I have a long way to go. Dean, Stay focused on your top strengths. I am so glad to see your blog take on this topic. After working towards mastering dance, the “artless on stage” experience for dance audiences, I began making gains in the craft of writing. Specifically, crafting mysteries and animal welfare nonfiction. I noticed each time I climbed or changed levels in understanding, skill and story craft insight, that the hard-earned flying feeling of dance returned. I love writing craft, both the hard and, at times, lonely weeks. The work itself, working to be a writer’s writer, is so out-of-step with the times of fast track to self publishing and the instant expert. I love this story Deborah! I plan to share this comment I wrote on my blog. At first I was freaked out and fearful of sharing my background on the Internet. Too “1984” and tell-all-tv for me. I still keep tons of personal stuff back because there is no need to know. But being ashamed of working hard toward an impossible goal? …the lifelong passion of mastery? Oh, it is time I got over that one! I think what becomes clear the deeper you go into your work is that if you provide outstanding value to your audience, expert status really doesn’t matter. You in a sense, become the vehicle to providing value. As long as you do that, everything else becomes secondary. So you make a very good point. There’s really no need to establish yourself as an expert because it’s all about providing what the customer wants. Onder, thanks so much. Do what you are designed to do very well and the audience will find you. I like the thoughts you share. It also takes the pressure off to reach some ambiguous “ideal.” Just show up, do your best, serve your audience…actually I like how this can translate to simply building relationships. And aren’t relationships the vehicle for everything? I learned this the hard way after I spent a year writing article after article and not getting any traction. I learned the hard way. You simply can’t get by in life without building relationships with people. Rhonda, you are on target here. Thanks for reading! I absolutely believe that we all have the ability to master something. It just takes the desire and discipline to do it. Awesome interview! But let’s dive deeper. I’ve been struggling with this question for a while now. We are drowning in experts. So where are the Masters, the Sages, the Elders we so desperately need? Have we locked them away in nursing homes? Shut them up? Talked over them? Silenced them? We’re like a nation without a rudder. Each one of you is being called to become a master. And being a master is more about who you are, than what you do. It’s the step above mastery. Thanks Jeff for lighting the fire. I know I can master anything. The places I have failed in the past were just lessons learned about which approaches don’t work. In the past I’ve tried to master without pain, or without discipline. These days, though I still don’t “love pain” I hate not mastering MORE. Thank you Jeff. Your post inspired three responses: One, I think mastery does exist. I’ve experienced it, at least in the way the word is commonly used. And two, I think the majority of the world isn’t interested in me or my craft. And it is OK. Third, the key is finding a small group who want to learn from me and with me, to push the envelop and experience spectacular results. It is possible to become a “master” of his craft; but perhaps not complete mastery. The problem often lies in the fact that others not willing to pay for master craftsmanship, depending upon the craft. Or perhaps I should state it this way: mastery of your craft may not lead to a sustainable income because not enough people are willing to pay the price for such craftsmanship. I am faced with this at this very moment. I am being urged to seek employment with another company rather than keep my business doors open. This company is known nationally for their great craftsmanship. They have plenty of high-end work and would be able to sustain me (though at a level far below what I usually make from my projects). I believe that I could enjoy working there and take pride in the work I’d do. I “could make a name for myself” I was told. The reality seems to be that I could make a name for myself as a great employee working for a company that has to cut corners on craftsmanship to be profitable selling a high-end commodity. Visit: http://www.KingsHeritage.com to view seldom sought after craftsmanship. Great interview, I think it really points out what the problem is with our current views on success as a society. Very inspiring, thank you! What a stunning interview! Thanks for sharing the insights on mastery. Before reading the article I would have said that anyone can achieve mastery in their field, but I also know that there is always room for improvement. Those to two statements seem to contradict each other. I thought I was close to achieving mastery in my craft, but I now think that’s not the case. Great post! Thanks for reading and for the kind words Daniel. I believe I have achieved a level of mastery of oil painting and watercolors; and now at the keyboard (I don’t have a piano). All my life I had wanted someone to appreciate what I can do, but I have finally come to the realization (at age 68) that what I’ve done, I have always done for my self, for the joy of it. Whether my levels of “mastery” meet others’ standards, is really irrelevant. I just love doing it. I’ve had one piece or writing published, but mostly I get rejections. I guess at my age I have to accept that non-recognition is a fact. This post has hit me deep in my heart. Years ago, when I was just starting out in my career, one of my in-laws observed that I wasn’t making very much money for all the long hours and arduous work I was putting in. She was a nurse and made twice what I made per hour. The lesson I’ve learned- in retrospect- is that money isn’t everything. It’s certainly not worth giving up one’s God-given talent to pursue a larger paycheck or please a selfish, short-sighted spouse. You are right: There are no short-cuts to becoming a master in any given field. Love this Tara. It is about influence, not being noticed. The biggest thing I’ve taken away from this is simply, ‘You can always get better.’ It’s so true…but it will take more time, effort and determination than it ever does in the movies! This is a great post – really thought-provoking. Thank you. Thanks for your kind words Kirsty! I think many true masters are the ones that we don’t here about so often. They silently do what they do. They work on their craft and slowly master it, (although no one can absolutely master anything), and knowing that is part of becoming a master. Sometimes these masters who slowly work on their craft silently are noticed by the public and become suddenly “famous,” but more often the greatest masters either slowly take prominent positions in their field, or silently and contentedly do what they do. Fantastic. I wrote something similar but my small potatoes blog doesn’t have the reach this article will have. Excellent. The term expert is just another jargon modifier, but “mastery” whoa – who really has the gall to all themselves that. Thank you for taking a stand. It sounds as though trying to achieve mastery could send a person into madness. Great interview. It gave me something to think about especially when I’m feeling doubtful about my writing progress. Thank you. @DanErickson8:disqus I love your comment that masters quietly “do what they do” and fly a little under the radar. It’s a great observation–self-described experts are often quick to seek attention for their skill, while true masters earn it with the dedicated that others observe in them. I think a lot of it comes from that quality of humbleness that accompanies the never-ending pursuit to improve. Reading this is a relief! Thank you! I have constantly at odds with expectations and my capacity to deliver as a young professional. A good friend and I have simultaneously been entrusted with big projects that seem to much for our amateur practice. But this is the way to the asymptote mastery. We have to start now to pay the price of excellence, and be grateful for the chance to pursue it. Sharing this! Reading this is a relief! Thank you! I have been constantly at odds with expectations and my capacity to deliver as a young professional. A good friend and I have simultaneously been entrusted with big projects that seem to much for our amateur practice. But this is the way to the asymptote mastery. We have to start now to pay the price of excellence, and be grateful for the chance to pursue it. Sharing this! Thanks! Some great wisdom here. Especially appreciate the visual reminder of asymptote and the encouragement that hard work makes a difference. And, in answer to your question about whether we can be a master: I think continual growth is the goal and would add that there’s only One Master.